Last Summer, I discovered this little place on the island of Saaremaa in Estonia (Europe). Villa Männituka (here is their website) is a small house that sleeps 4 (or 6 if you don’t mind to sleep on the couch). 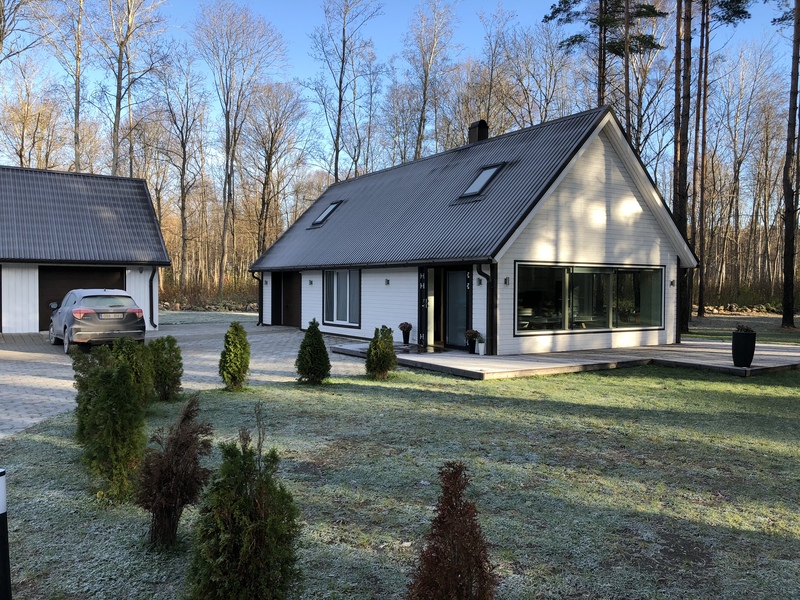 There is a sauna – of course – and a bathroom, kitchen, living room, a terrace and a great view on the surrounding woods. Modern interior. Nice hosts, Merike and Anvar. They have two kids and two cute Jack Russel dogs, who like to welcome the guests with their enthusiastic barks and nervous little tails. The first night I slept here, there was quite some heavy rain, and the hard ticking on the roof had awakened me. I had the right reflex to put my earplugs in. After that, I woke up after noon … needed the rest, though. The other nights, we heard no sound at all. Perfect stay.